This is a model I started for a design competition, but it got put to the side in order to hit a deadline. 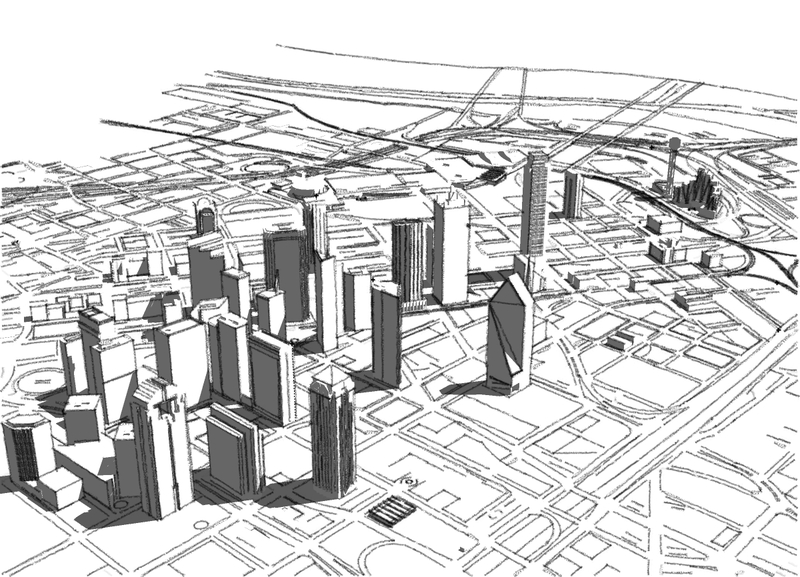 Currently, it is a map of downtown Dallas populated with most of the major buildings. The concept was for this to set as a backdrop to a context study, with all of the existing buildings remaining white (its pretty popular to do this – reminiscent of the old city models made of white foam or plastic). 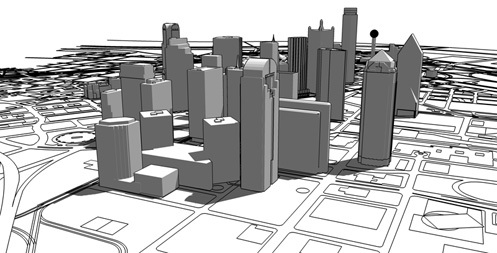 Unfortunately it never get to 100% complete due to the sheer number of smaller buildings in the downtown area. I will continue to populate this as necessary… I know there are many many models of the small buildings in Google’s 3D warehouse (where I got the bulk of these buildings anyway). There may be a way to quickly get all of them and import them, but I sure have not figured it out. 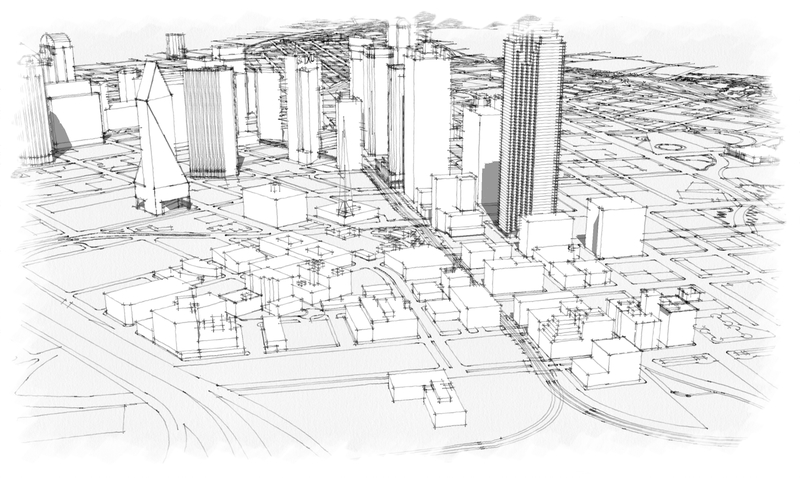 Click here for the model – you will need to import it back to Sketchup from Google Earth’s file format. When I have a need for this again I’m sure I will finish it, or a least the part I need. I’ll re-upload it as I add more detail. Until then, it will stay up here in some various form of completion. If you want it, use it – if you improve it with reasonable accuracy, I would love to see what you’ve done with it. As of September 2010 I have updated this model a little bit. I am woking on another project that could use this and I spent a little too much time pulling other models off of 3D Warehouse. I think I have exhausted the usefulness of that database at this point; looks like the next update is up to me to complete (I need some work done on the west side of downtown).